قاسمی, احمدرضا, حسین پور, کمیل. (1395). اثرات دما و زاویه الیاف در توزیع تنش و کرنش خزشی بلندمدت در استوانه کامپوزیتی چندلایه با الیاف تک‌جهته. علوم و فناوری کامپوزیت, 3(3), 233-242. احمدرضا قاسمی; کمیل حسین پور. "اثرات دما و زاویه الیاف در توزیع تنش و کرنش خزشی بلندمدت در استوانه کامپوزیتی چندلایه با الیاف تک‌جهته". علوم و فناوری کامپوزیت, 3, 3, 1395, 233-242. قاسمی, احمدرضا, حسین پور, کمیل. (1395). 'اثرات دما و زاویه الیاف در توزیع تنش و کرنش خزشی بلندمدت در استوانه کامپوزیتی چندلایه با الیاف تک‌جهته', علوم و فناوری کامپوزیت, 3(3), pp. 233-242. قاسمی, احمدرضا, حسین پور, کمیل. اثرات دما و زاویه الیاف در توزیع تنش و کرنش خزشی بلندمدت در استوانه کامپوزیتی چندلایه با الیاف تک‌جهته. علوم و فناوری کامپوزیت, 1395; 3(3): 233-242. در این تحقیق خزش و توزیع کرنش‌های خزشی و مماسی و نسبت تنش موثر بر فشار داخلی در یک استوانه جدار ضخیم شیشه/ونیل-استر برای زمان‌های طولانیمدت، مطالعه شده است. با استفاده از معادلات ساختاری شپری، ثابت‌های این معادلات در دماها و تنش‌های مختلف استفاده شده است. استوانه کامپوزیتی نیز با هندسه متقارن، طول بلند و زوایای چیدمان 0، 45 و 90 درجه به‌شکل چندلایه تک جهته مدل‌سازی شده است. بارگذاری استوانه شامل فشار داخلی و اختلاف درجه حرارت برای دماهای متفاوت مورد نظر بوده و از تئوری کلاسیک لایه‌ای استفاده شده است. مدل ویسکوالاستیک مورد نظر با استفاده از روابط پرانتل- روس و روش تقریب عددی مندلسون تحلیل شد و توزیع کرنش‌های خزشی و تنش موثر در ضخامت جداره برای چندلایه‌های گوناگون و اختلاف درجه حرارت متفاوت برای مدت زمان 15 سال ترسیم و تحلیل شده است. نتایج این پژوهش افزایش میزان نسبت تنش موثر بر فشار داخلی و کرنش خزشی شعاعی و مماسی با افزایش دما در چندلایه‌های تک‌جهته با زاویه الیاف 0 و 90 درجه را نشان ‌می‌دهد. همچنین در چیدمان با زاویه الیاف 45 درجه با افزایش تغییرات دمایی نسبت تنش موثر بر فشار داخلی کاهش یافته و مقادیر کرنش خزشی شعاعی و مماسی در جداره درونی از نظر قدرمطلقی افزایش و در جداره خارجی از نظر قدرمطلقی کاهش می‌یابند. In this study, the distribution of radial and tangential creep strains and ratio of effective stress to internal pressure in a glass/vinyl ester thick-walled cylinder for long-term time period are studied. The constants of Schapery compatibility equations have been used for different temperatures and stresses. A symmetric multilayer composite long cylinder with 0, 45 and 90 fiber orientations has been modeled. The cylinder has been loaded by internal pressure and temperature difference. Also, the classical lamination theory has been applied for solving the equations. Viscoelastic model using Prandtl-Russ relations and Mendelson’s approximation method has been analyzed. In addition, the distribution of radial and tangential creep strains and effective stress in the wall thickness for different layouts and temperatures difference in 15 years has been drawn and analyzed. The results show that the ratio of effective stress to internal pressure increases. Further, with growing the temperature in the unidirectional multilayer with 0° and 90 ° fiber orientations, the radial and tangential creep strains increase. Also, in the unidirectional multilayer with 45° fiber orientation, the ratio of effective stress to internal pressure decreases with increasing the temperature differences. In addition, the absolute values of radial and tangential creep strains in the One of them is inner and the other in outerwalls increase and decrease, respectively. Findley, W.N., “Mechanism and Mechanic of Creep Of Plastic,” Journal of Polymer Engineering, Vol. 16, pp. 57-65, 1960. Schapery, R. A., “On the Characterization of the Nonlinear Viscoelastic Materials”, Polymer Engineering and science, Vol.9, pp.295-310, 1969. Tuttle, M. E. and Brinson, H.F., “Prediction Of The Long-Term Creep Compliance Of General Composite Laminates,” Experimental Mechanic, Vol. 26, No. 1, pp. 89-102, 1986. Violette, M.G. and Schapery, R.A., “Time-Dependent Compressive Strength Of Unidirectional Viscoelastic Composite Materials,” Mechanics of Time-Dependent Materials, Vol. 6, pp. 133-145, 2002. Papanicolaou, G. C. Zaoutsos, S. p. and Kontou, E.A., “Fiber Orientation Dependence Of Continuous Carbon/Epoxy Composites Nonlinear Viscoelastic Behavior,” Composites Science and Technology,Vol. 64, pp. 2535-2545, 2004. Muliana, A.Nair, A. Khan, K. A. and Wagner, S., “Characterization Of Thermo-Mechanical And Long Term Behaviors Of Multi-Layered Composite Materials,” Composites Science and Technology, Vol. 66, pp. 2907-2924, 2006. Sawant, S. and Muliana, A., “A Thermo-Mechanical Viscoelastic Analysis Of Orthotropic Materials,” Composite Structures,Vol. 83, pp. 61-72, 2008. Muddasini, M. Sawant, S. and Muliana, A., “Thermo-Viscoelastic Responses of Multilayered Polymer Composite Experimental and Numerical Studies,” Composite Structures, Vol. 92, pp.2641-2652, 2010. 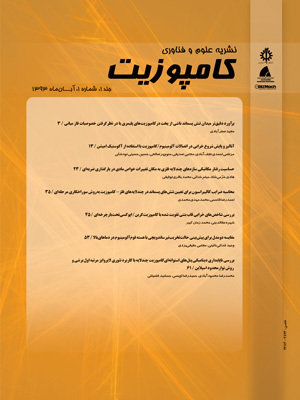 Mousavi, A. Bougherara, H. Falahatgar, S.R. and Fawaz, Z., “Thermomechanical Viscoelastic Response Of A Unidirectional Graphite/Polyimide Composite At Elevated Temperatures Using A Micromechanical Approach,” Journal of Composite materials, Vol. 49 , pp. 519-534,2015. Tsukrov, I. and Drash, B., “Elastic Deformation of Composite Cylinders with Cylindrical Orthotropic Layers,” International Journal of Solids and Structures, Vol. 47, pp.25-33, 2010. Parnas, L. and Nuran, K., "Design Of Fiber-Reinforced Composite Pressure Vessels under Various Loading Conditions," Composite Structures, Vol.58, pp.83-95, 2002. Ghasemi, A.R. Kazemian, A. and Moradi, M., “Analytical And Numerical Investigation Of FGM Pressure Vessel Reinforced By Laminated Composite Materials,” Journal of Solid Mechanics, Vol. 6, pp. 43-53, 2014. Guedes, R. M., “Nonlinear Viscoelastic Analysis Of Thick-Walled Cylindrical Composite Pipes,” International Journal of Mechanical Sciences, Vol. 52, pp.1064-1073, 2010. Zhang, Q. Wang, Z. W. Hu, D. P. Gao, S .j. and Liu, P. Q., “Analytical Solution Of The Thermo-Mechanical Stresses In A Multilayered Composite Pressure Vessel Considering The Influence Of The Closed Ends,” International Journal of Pressure Vessels and Piping, Vol. 98, pp.102-110, 2012. Rafiee, R.and Mazhari, B., “Modeling Creep In Polymeric Composites: Developing A General Integrated Procedure,” International Journal of Mechanical Sciences, Vol. 99, pp.112-20, 2015.